Have you ever had that one single standalone moment in your life? That one time when you had an opportunity, or made a decision, that changed everything for the better? Well, brace yourselves, because I found something cool that could really change your music and maybe your life for the better! About eight months ago I was reading a review, just like this one, talking about an app simply titled “BandLab – The greatest music community app out there!” The review was great and I remember thinking to myself ‘I have to check this out.’ So, with nothing to lose, I downloaded the FREE BandLab app, (always free by the way with no in-app purchases required—all loops, all services—free) not knowing at the time that I was making one of the best career decisions of my some 22 years as a Christian singer/songwriter. And it’s not just the app, which is more than enough on its own I assure you. It’s BandLab’s complementary products that really seal the deal, so to speak, including the company’s awesome and affordable Link Analog Interface ($60), and their newly released Digital Audio Workstation (DAW) Cakewalk by BandLab, previously known as Sonar, which is, wait for it—FREE! I can honestly say that I never expected to be this blown away by any music community app. When I first downloaded BandLab to my phone, I was just trying to find something close enough to my list of needs, which included; ease of use, to have fun, to be connected with other like-minded Christian music artists, the capability for other music the app right at my fingertips straight away within the first few seconds of using it. called the BandLab Link Analog Interface. I bought mine direct from BandLab for around $60 including shipping, (to Australia no less). You don’t need this to use BandLab of course, it’s purely optional, but it’s the best $60 you’ll spend if you want to record live instruments and vocals, in high quality audio, using your XLR or ¼ jack input, straight into your phone’s audio jack! This power packed, rechargeable battery operated device, when paired up with GarageBand (free), the BandLab mix editor (free), and Cakewalk (free), has now replaced my $2,000.00 home recording studio, reducing my double handling tenfold and producing better sound quality than I’ve ever had, and all with less effort and frustration now on my part. But why so little effort? Well, once I record my instruments and vocals, I mix them with GarageBand or BandLab Mix Editor depending on what I need. I then master my track in Cakewalk, which has amazing mastering tools as standard with the program, and also uses third party plugins, which means that I can make subtle adjustments to get the sound just how I like it. Then I mix that all down, export it to any number of formats, including WAV format, and run it through the BandLab automatic mastering tool. You won’t believe the difference that this tool makes until you hear it, and it is yet another free BandLab feature. And to top it all off, BandLab’s customer service and support is first class, I have rarely had a better experience anywhere. 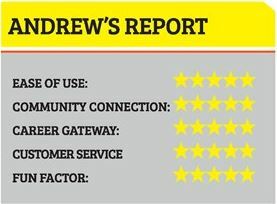 Despite being a free service, their customer support staff and the BandLab team are professional, courteous, polite and have such great eagerness to help and follow up on concerns and queries. 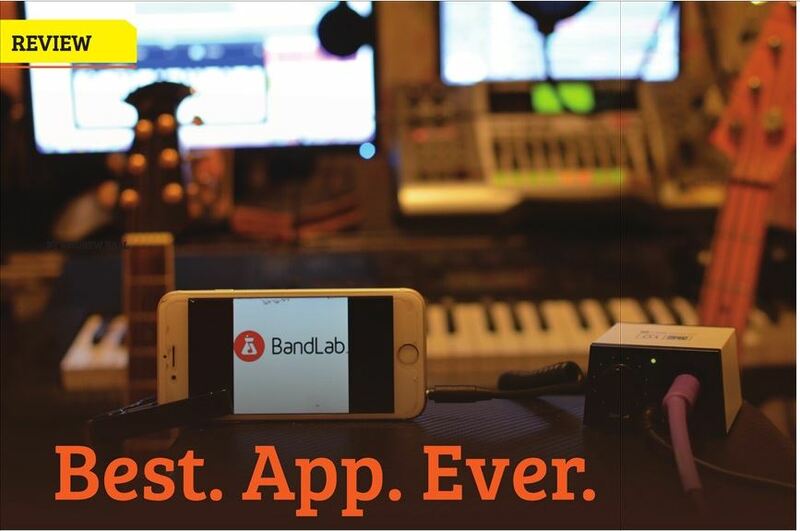 BandLab is for anyone with a passion for music—artists, producers and even beginners! No matter your skill level, the BandLab musical community will welcome you with open arms. From joining or creating bands and communities, to collaborating with the world’s finest music artists, BandLab is your go-to if you are serious about developing and fostering your musical gifts. I wish that I could show you everything—the laughter, the joy, the tears, the friendship, the care and support from the other community members. But there is only one way that you will be able to experience any of this. So please do yourself a favor, download BandLab at www. bandlab.com and see for yourself, you will be grateful you did in the months and years that will follow. I hope to see you there soon! Look me up @andrewofoz.